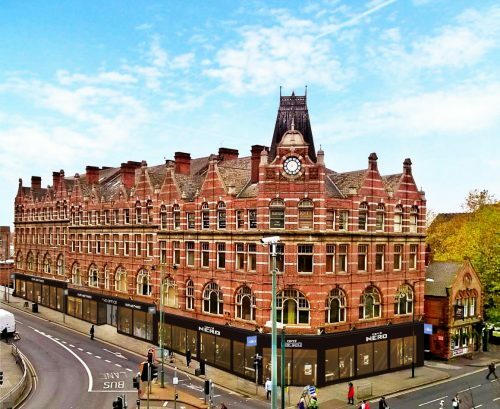 An application has been submitted for new offices at 28-48 Carrington Street, Nottingham. The offices will be constructed across all upper floors – floors 1 – 4. A ground floor office reception area is also proposed, along with basement space to accommodate a cycle store and shower facilities. Grace Machin submitted the plans on behalf of Nottingham firm Office Innovations. Shoby Properties acquired the landmark building, consisting of a 19th century block of shops, office space, studios and workshops, last April (2018). David Shelton of Shoby said at the time: “We will provide some of the best offices in Nottingham. Up to 45,000 sq ft will be available as a whole or in floors of 10,000 sq ft, or indeed in part from 3,000 sq ft, in 12-15 months.